STAMFORD, Conn., Aug. 13, 2018 (GLOBE NEWSWIRE) — SoldierStrong, a nonprofit organization dedicated to providing advanced medical technologies to veterans, today announced that it is donating an EksoGT™ exoskeleton to Tampa’s James A. Haley Veterans’ Hospital to make advanced stroke rehabilitation available to Tampa-area veterans for the first time. The state-of-the-art device will be dedicated to mobilizing stroke patients earlier, for optimal outcomes. 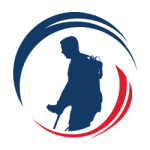 James A. Haley Veterans’ Hospital, part of the Department of Veterans Affairs (VA), will host a donation ceremony, and a veteran will demonstrate walking in the device, on Monday, August 13that 2pm. “Florida has the third largest veteran population in the nation, and the James A. Haley Veterans’ Hospital is a leader in rehabilitation with a commitment to the integration of assistive technologies in caring for its patients. 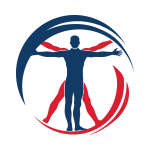 We are proud to provide these clinicians with the EksoGT as a tool they can use to help veterans regain their independence and mobility following a stroke,” said Chris Meek, co-founder and Chairman of SoldierStrong. Activated in 1972, the James A. Haley Veterans’ Hospital is a tertiary care facility classified as a Clinical Referral Level 1 Facility. JAHVH is a teaching hospital, providing a full range of patient care services, with state-of-the-art technology as well as education and research. Comprehensive health care is provided through primary care, tertiary care, and long-term care in areas of medicine, surgery, psychiatry, physical medicine and rehabilitation, spinal cord injury, neurology, oncology, dentistry, geriatrics, and extended care. JAHVH consists of five Veterans Health Administration facilities located in Tampa, New Port Richey, Zephyrhills, Lakeland and Brooksville, serving four counties in Central Florida. 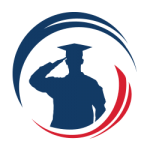 It is a part of the Veterans Integrated System Network (VISN) 8 that also includes facilities in Orlando, Gainesville, Lake City, Bay Pines, West Palm Beach, Miami and Puerto Rico.